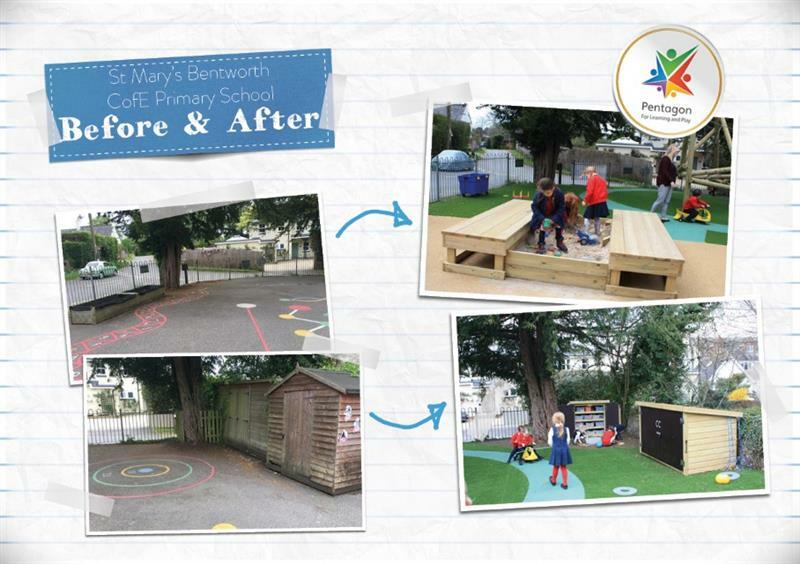 Our Playground Consultant, Donella Felton, worked together with St Mary’s Bentworth C of E Primary School to redesign their EYFS outdoor play areas. 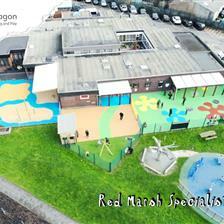 The outcome was attractive and inspirational play zones with an added WOW factor for the early years and foundation stage children to enjoy. A focal point in the playground and our own take on the childhood memory of climbing a tree, the attractive Bowfell Climbing Frame has been constructed from fine quality, high-pressure treated ‘playgrade timber’. It is a fantastic piece of equipment to help children to build their upper and lower muscle strength and work towards climbing with confidence. Owing to its inclusive quality, for children wishing to take a break or simply to indulge in imaginative play, the area beneath is ideal for den-making. 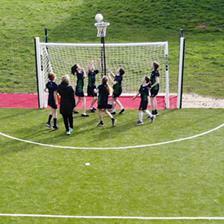 The Bowfell Climber is situated on top of plush and vibrant artificial grass with shock pads beneath to maximise safety. This striking zone fits in seamlessly with its rural Hampshire surroundings, and due to the Artificial Grass surfacing, it can be used all-year-round, irrespective of rain or shine! 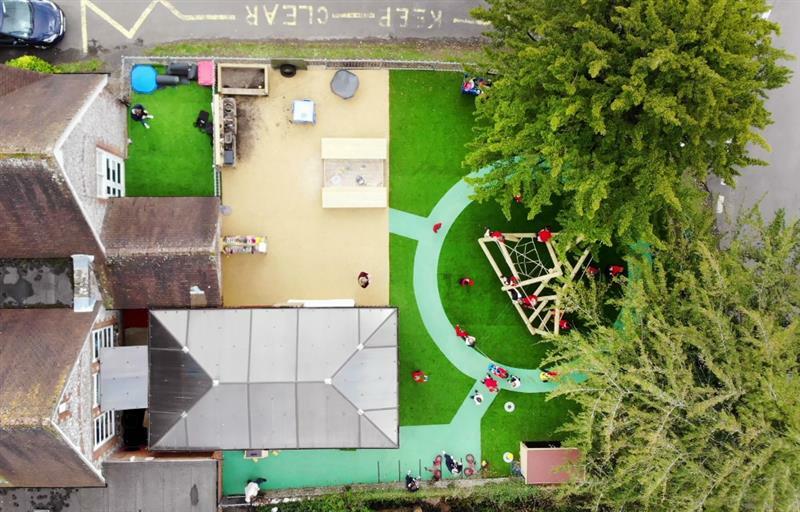 A 54m2, cyan, Wet Pour pathway was created, leading from the water play zone and circling the Bowfell Climber to create a safe area for children to ride their bikes and trikes, without causing congestion and to prevent accidents on the playground. Clutter around the playground can be hazardous for school children. As a result, we installed one large self-selecting store and a small self-selecting store made from durable high-pressure treated ‘playgrade timber’ in the perimeter of the physical development area. The sturdy phenol plywood doors are child-friendly and created at a height where children can practise ‘tidying up’ and put things away in the correct place. All the toys can then be located easily, next time someone wants to use them. The exciting water-play area, located on top of aqua Wet Pour surfacing, epitomises the STEM initiative. The fantastic Water Wall complete with channels and grass-topped steps, encourages investigative play. Children at St Mary’s can play collaboratively and discuss the flow of water, how it speeds up and slows down. The grass-topped steps help the children to access the higher channels too. When given the chance, children can spend hours engrossed in water play. The addition of a versatile Water Table allows children to create and play with bubbles and fill up different sized containers with water to gain an elementary understanding of volume. Equally, they can work together to discover which materials float and which sink. Children and mess go hand-in-hand - and the messy play zone we created at St Mary’s gives mess a purpose. To separate it from neighbouring zones, we carefully selected and installed fantastic Mud, Sand and Water Play Equipment on top of earth-blend, beige Wet Pour. Our Mud Kitchen is ideal for children to indulge their senses and to support the integration of information perceived through sight, touch, feel and smell. It’s perfect for aspiring chefs to construct delicious meals for their friends and to role-play and replicate what they have seen adults do. This innovative and open-ended play equipment allows children to broaden their vocabulary and build confidence speaking to others, too. Positioned next to the mud kitchen, the amusing messy play dig pit has been cleverly designed to encourage children to build and refine their hand-eye-coordination skills whilst scooping and pouring; they are advancing their fine motor skills too all these pleasant side-effects to having fun! 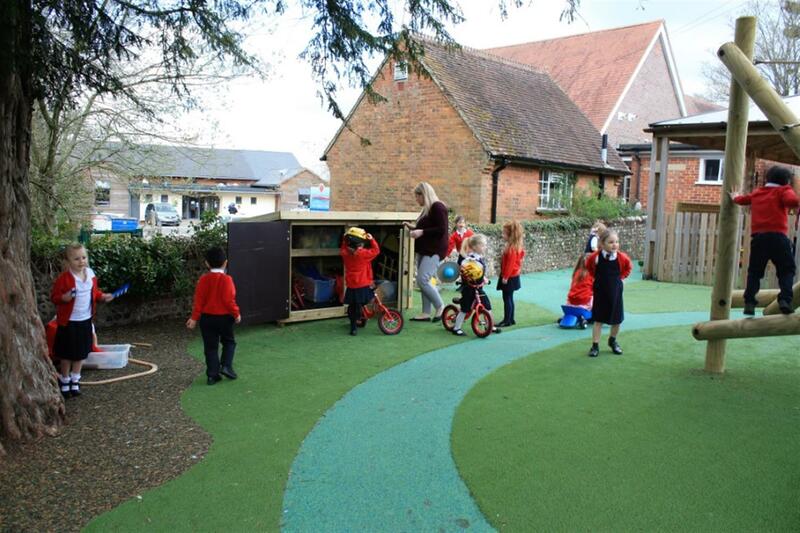 Our Large Sand Box brings the beach and all its exciting memories to the comfort of St Mary’s playground. Children can search for ‘treasures’ inside the sand, whilst familiarising themselves to its texture and feel. It brings children together and helps them to bond over their new discoveries. 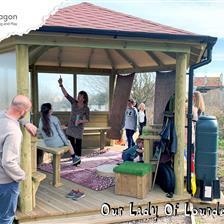 When not in use, the lid can be used to shelter the sandbox from the elements, so children can pick up where they left off at the next break. To see the transformation from a once dated and dull outdoor playground to distinct and entertaining play zones, with each created to help children to advance life-long skills, has been extraordinary. The lovely staff and lively children at St Mary’s are amazed and we couldn’t be happier. 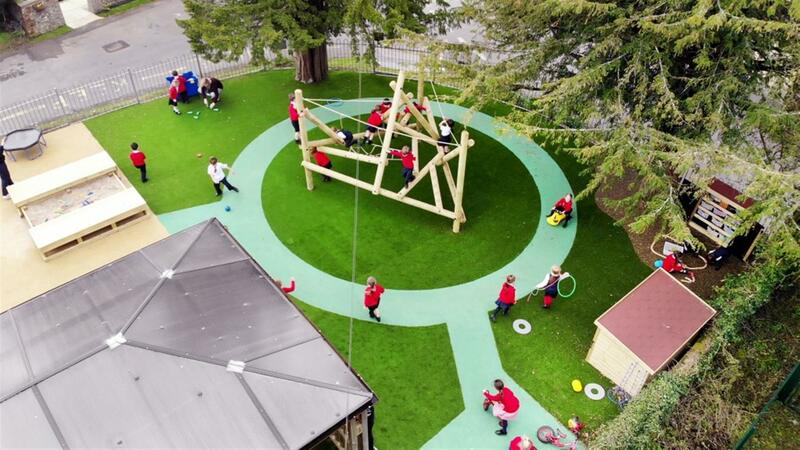 At Pentagon Play, we work closely with you to design a playground, specifically tailored to your school’s requirements, budget and long-term goals. If you would like to arrange a free consultation with one of our outdoor play experts, Contact Us for further information and advice.